Both VVPAT machines and Electronic Voting Machines (EVMs) will be used in all 50,264 voting booths of 182 constituencies in Gujarat. AHMEDABAD: Both VVPAT machines and Electronic Voting Machines (EVMs) will be used in all 50,264 voting booths of 182 constituencies in Gujarat, in the upcoming state assembly elections, the Chief Election Commissioner of India, AK Joti informed on Sunday. To ensure a free and fair electoral process, Joti informed that a candidate could put a complaint before the Returning Officer (RO) if he/she had doubts about any defect in the VVPAT machines. “If a candidate thinks that unfair means have been used in the polling process, we have given a provision in our EVM manual that if a candidate has such doubts, then he can complain about it to the Returning Officer,” Joti said, at a press conference, here, and added that under certain conditions, the VVPAT machines could be unsealed and the counting of slips could take place. Amid the recent allegations of EVM tampering in the Uttar Pradesh civic polls, Joti informed the state body elections in any state were conducted in the jurisdiction and held under the direction of state election commission, and the EC did not play any role in it. ALSO READ: Uttar Pradesh civic polls | Could a united opposition have thwarted BJP's victory? “Local government bodies and self-election commissioners sometimes request us to loan them EVMs. For 15-20 years, the EC has been providing M1 model of EVM which is of an earlier generation because the EC has been using the M2 generation of the machine since 2006. We have also told them to buy new EVMs from their own funds,” he added. 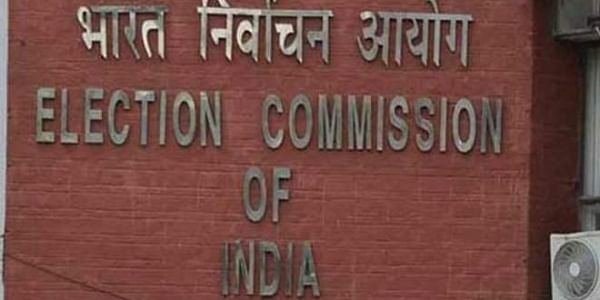 In case of Gujarat, the election commissioners have taken EVMs from the EC, whereas Madhya Pradesh did not take it in the by-elections held this year, said the chief election commissioner. VVPAT enables the voters to see the candidate’s name, symbol, and serial number. Under the Election Commissioner's direction, comprehensive awareness about the use of VVPATs has been carried out by the state-level as well as district-level DOs and the ROs. Ahead of the Gujarat polls, the EC has also ensured curbing the misuse of money, drug, and other freebies to voters, and security at the polling stations in all 182 constituencies. The polls will be held on December 9 and 14.